Tonight is a heartbreaking night for many who had faith in the judicial system. Here’s a recap if you haven’t heard about the case. George Zimmerman, a neighborhood watch member who went against command to pursue and eventually kill 17 year old Trayvon Martin was acquitted of all charges. 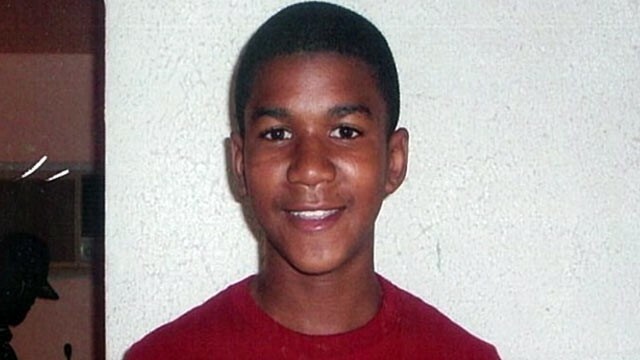 Zimmerman said he found the teenager, pictured above, to be suspicious because he was wearing a hoodie. This event has sparked an outrage, particularly within the African American community. Many, myself included, feel like this never would have happened had the victim not been a young, African American male. To be totally politically incorrect, I’m hurt, enraged, and terrified by this verdict. The fact that a young man of any race can be profiled, pursued, then killed and his murderer can go home as a free man is appalling and disturbing to me. It makes me seriously scare to raise a young Black man in this country for the fear that the same unfortunate thing can happen to him. Trayvon’s family and those who were close to him are in my prayers. I cannot imagine what they must be feeling like right now. Please keep them in your prayers as well. The details for the march are above. We will be meeting promptly at 2pm in front of the main entrance of the Five Points MARTA station to march to the CNN center. Dress comfortably. If this story infuriates you as much as it does I, please come out and support.Like the Civil Rights movement in the 50s and the LGBT of recent years, you’re voice can be heard and you can make a difference. RIP Trayvon. Your death shall not be in vain. It was at 2 pm. But you can leave your email if you’d like to keep in touch to know the next steps we are taking. This verdict was a travesty in the highest degree! Yes it was! I was so enraged to the point of tears! Petitions are circulating, we shall obtain justice.